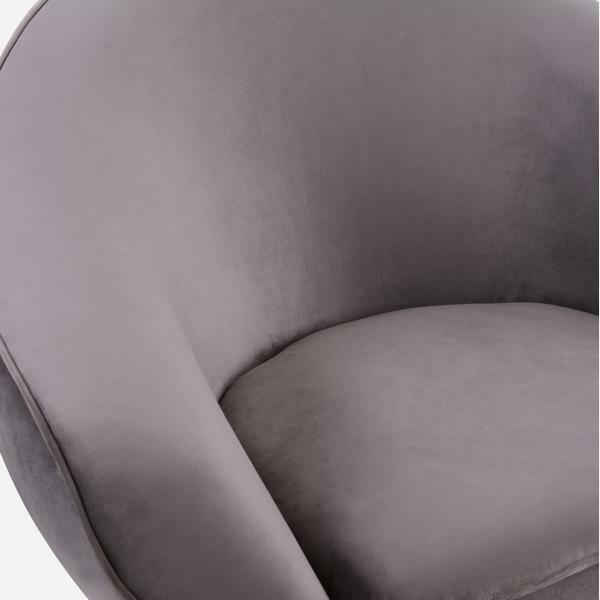 Small and stylised, Brandon cushions you in its curved frame. 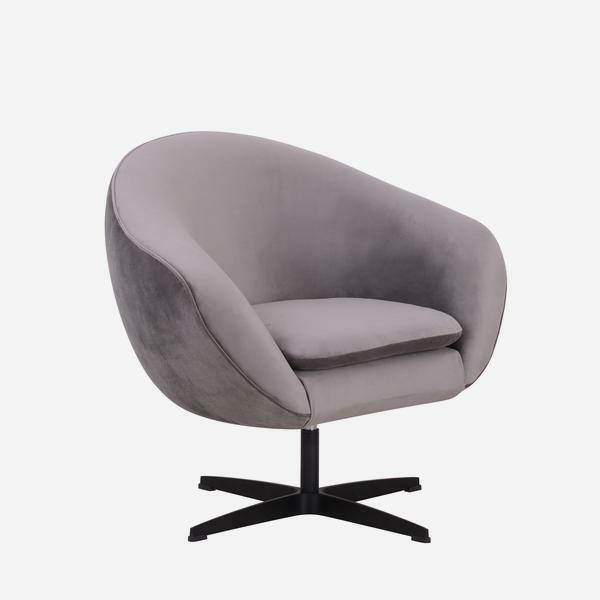 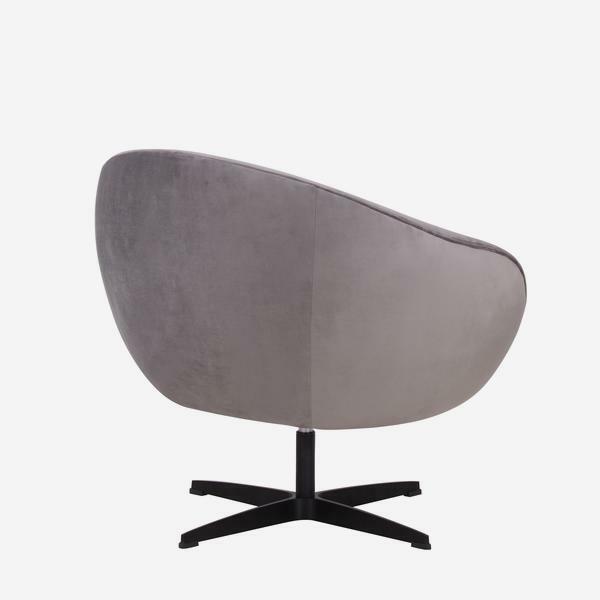 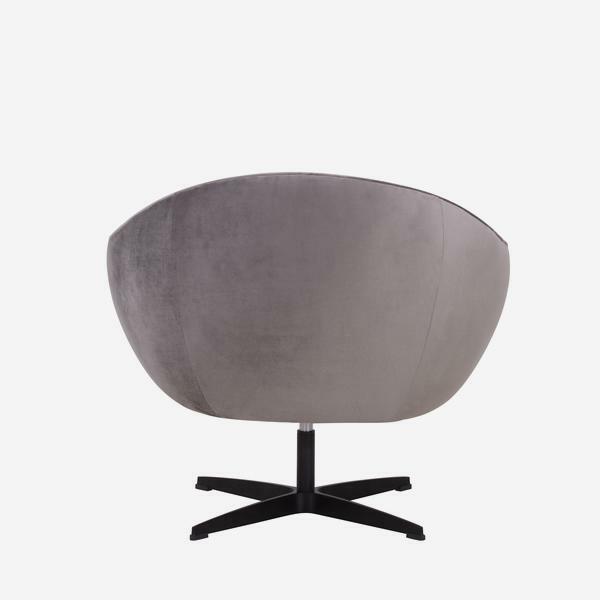 In soft grey velvet fabric and with a design-led silhouette, it has a Mid Century feel while the low, swivel base adds extra flair. 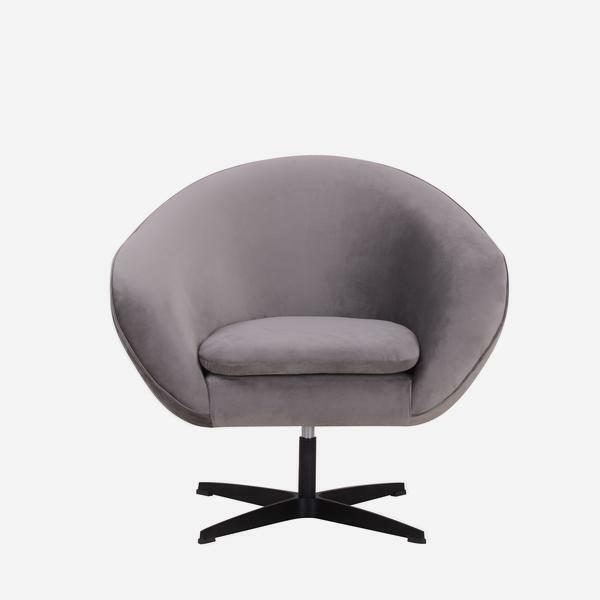 Brandon is a cool design statement, it's perfect slotted into a corner or as a perch in your bedroom.